Let’s hear it for the music team! When the Tony Awards are announced this evening, no doubt most people will be looking at the big categories like Best Musical and Best Original Score. And these are the awards that are most likely to be exploited in the shows’ publicity in future months — rightly so, since it’s the coherence of the end product that makes or breaks a production in the long run. But as a musicologist, I’m always particularly interested in the Best Orchestrations category and in the role of the music team in general. It was intriguing back in April when the Drama Desk committee proposed to do away with the Outstanding Orchestrations category in their awards this year, causing much of the Broadway fraternity to rise up and protest (including a particularly powerful blog post from composer Jason Robert Brown). For once, the voice of the people was heard and the award was reinstated. People that work inside the business understand that the wizardry of orchestrators, arrangers, and conductors is an essential factor in the collaborative process of putting on a show. Yet it’s curious that so few of these people have any kind of prominence or public face. Names from the past like Robert Russell Bennett, Trude Rittmann, Phil Lang, Betty Walberg, Ralph Burns, Hans Spialek, Franz Allers, Milton Rosenstock, Don Walker, Genevieve Pitot, Peter Howard, Lehman Engel, Jay Blackton, and Irwin Kostal were responsible for bringing to life dozens of beloved scores from Carousel to The Music Man. Thankfully, Steven Suskin’s wonderful recent book The Sound of Broadway Music has made a valuable step towards rehabilitating the reputations of this magical family of musicians, and I hope it’s the first of many more studies in this area. Julie Andrews in promotional pose for My Fair Lady, 1956. Source: NYPL. My own research into My Fair Lady has inspired me to become a particular fan of the work of Trude Rittmann. Here was a truly extraordinary woman. She fled Nazi Germany, worked for George Balanchine’s ballet company, and went on to become Agnes de Mille’s rehearsal pianist for the ballet work in One Touch of Venus. The rest is history. She was so good that she was then brought in not merely as a pianist but as an arranger on shows including The King and I, South Pacific, and The Sound of Music. From the mid-1940s to the 1960s, she was a vital name in many of the greatest shows on Broadway with other credits including Brigadoon, Camelot, Finian’s Rainbow, Gentlemen Prefer Blondes, On a Clear Day You Can See Forever, Paint Your Wagon, and Peter Pan. On Fair Lady, she laid out a surprisingly large amount of the score. Although Frederick Loewe was responsible for all the thematic material in the show, it was Rittmann who decided how a lot of it was to be distributed over the many music cues. This included laying out the overture and opening music, arranging the dance break on “Wouldn’t it be Loverly?”, putting together “The Ascot Gavotte” and “Embassy Waltz”, sorting out the sequence of numbers from the “Just You Wait” reprise through to the “Flower Market” music, and arranged closing pages of the show after the end of the sung part of “I’ve Grown Accustomed to Her Face”. The biggest revelation though, was the amount of work she put into the “Dress Ballet”, sometimes known as the “Decorating Eliza” number. This was a large ballet number in the first act that would have shown Eliza’s work after the Ascot scene in preparation for the ball. Rittmann was solely responsible for putting this one together and she included motifs from lots of the show’s most famous songs — all tailored to the desires of choreographer Hanya Holm. It was then orchestrated by Robert Russell Bennett (a hero of all of us who love Broadway shows of this period) and learnt by the orchestra. But after the show’s first preview in New Haven, the number was cut and has never been heard since. Such is the lot of the music team: their work was intense and brilliant, but often discarded. That’s just part of the story of one musician’s input on one show, and it hints at just how good these men and women have to be in order to work in this profession. This year’s nominees for Best Orchestrations include William David Brohn and Christopher Jahnke for Porgy and Bess, Bill Elliott for Nice Work if You Can Get It, Martin Lowe for Once, and Danny Troob for Newsies — four very different shows requiring lots of imaginative work. So when the winner’s announced, please spare a thought for everyone who’s ever worked on a Broadway score. Without them, there would be no sound of music. 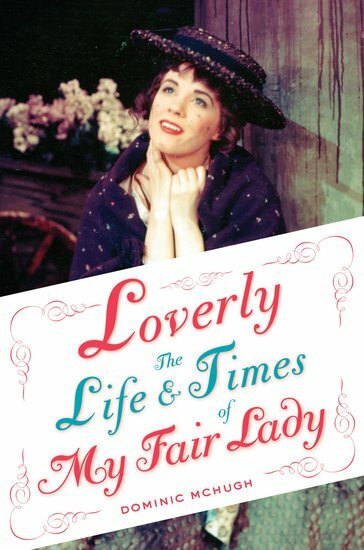 Dominic McHugh is Lecturer in Musicology at the University of Sheffield and author of Loverly: The Life and Times of “My Fair Lady”.